For years parents have listened to author, lecturer, and homeschool veteran, Ginny Seuffert pound home the notion that clear, confident, and consistent parenting is the key to successful homeschooling. Often parents would tell her, “I just wish I could bring you home with me. 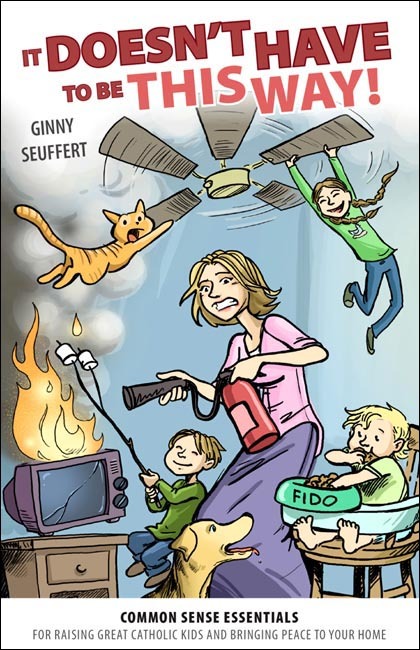 My kids just don’t want to listen or obey.” Now you can bring Ginny Seuffert to your home. This little book is short, sweet, and to the point. It is chock-full of practical, commonsense advice that has worked successfully for generations of parents. Ginny’s experience as a mother of 12 and grandmother of 18 shines through topics including: how to call a truce in the mealtime and bedtime wars, good manners, proper church behavior, building a responsible and industrious work ethic, avoiding overindulgence, and much more. Copyright 2013. Softcover. 62 pp.